Aireon, the first ever real-time, global air traffic surveillance system, is fully operational and in trial use over the North Atlantic. This announcement marks a historic milestone for the aviation industry — ushering in a new era of safety and efficiency that will revolutionize the way people fly. The Aireon system is expected to reduce overall flight safety risks by approximately 76 percent in the North Atlantic according to a joint analysis by NAV CANADA and NATS — the first Air Navigation Service Providers (ANSPs) to use the service. Improved visibility and control over previously un-surveilled airspace — especially across oceanic regions — will allow airlines to fly routes at optimal speeds and levels, delivering expected cost savings of up to US$300 per transatlantic flight, plus reducing carbon dioxide emissions by two tonnes per flight, based on an analysis conducted by NATS and the International Civil Aviation Organization (ICAO). Use of the Aireon system over the Atlantic allows for air traffic controllers to trial the reduction of aircraft in-trail separation distances from 40 nautical miles (nm) to just as little as 14 nm, making the airspace more flexible, predictable and able to accommodate the immense growth predicted in the coming years. Eight years in the making, Aireon’s ADS-B payloads are hosted on the Iridium® NEXT satellite constellation — the final deployment of which occurred on January 11, 2019. After receiving control of the final six ADS-B payloads from Iridium on February 7, 2019, Aireon completed payload testing, validation and calibration stages prior to launching the full system into operation to support current ANSP customers. Don Thoma, the Aireon CEO, said that, for the first time in history, all ADS-B-equipped aircraft can be surveilled anywhere on Earth. The global air transportation system has operated with a safe but less than efficient system in the 70 percent of the world that does not have real-time surveillance. 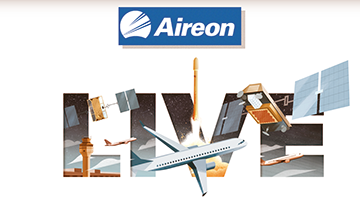 With the launch of the company's space-based ADS-B service, Aireon now provides a real-time solution to that challenge — one that will radically optimize flight safety and efficiency. The aviation industry has now joined the rest of the 21st century where real-time connectivity is relied upon for doing business. He continued that improved safety and cost savings for all aviation stakeholders is just a start. The revolutionary impact of the real-time location data and historical tracking information of Aireon’s space-based ADS-B data will create innovations that have not yet even been imagined. 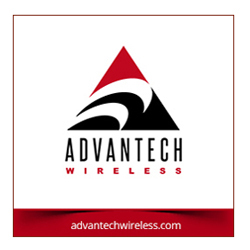 This achievement could not have been accomplished without dedicated investor such as NAV CANADA, Iridium Communications, NATS, Enav, The Irish Aviation Authority (IAA) and Naviair as well as the company's partners and launch customers. 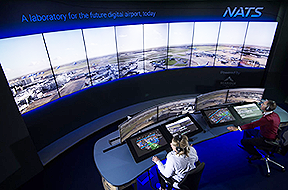 Neil Wilson, the President and CEO of NAV CANADA, stated that to know the position, speed and altitude of every ADS-B equipped aircraft in oceanic airspace —– in real-time — is a transformational change to how controllers manage air traffic. The Aireon system provides an immediate boost to aviation safety and airlines will benefit from more fuel-efficient routings and flight levels. More than 95 percent of the North Atlantic traffic is already ADS-B equipped so the fuel savings, along with the reduced carbon dioxide emissions will be attained very quickly. Martin Rolfe, NATS CEO, added that the trial in the North Atlantic, the busiest oceanic airspace in the world, with over 500,000 flights every year and a forecasted 800,000 flights per year by 2030, will demonstrate to the entire aviation industry that global, space-based ADS-B can revolutionize the service that the company provides to customers and the traveling public by transforming the way air traffic management is performed over remote regions.